If the title of this post didn’t stop you dead in your tracks, we cannot relate. I love a dessert that is unabashedly sweet and decadent. Those after-dinner treats are, in my opinion, reserved for something that feels like a treat. I want to indulge and to enjoy. Anytime someone tells me that they don’t have a sweet tooth, I immediately lose the ability to trust their judgment. If you don’t dessert, who are you? One of my biggest disappointments in many of today’s restaurant dessert menus is that they’re just so weird. 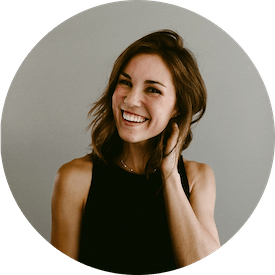 Like, you’ll glance over the menu, just dying for that deliciously familiar taste of a warm chocolate chip cookie, and all that there is to be found on the menu is a cheese plate. Some obscure savory dessert. Or a dish so fussy, so off-the-wall and imaginative that no one can pronounce the ingredients, let alone muster up the appetite to eat it. If I’m being honest, the one thing I typically want most after supper is a next-level awesome version of something I already love. Give me all of the skillet brownies and caramel sundaes and bourbon bread puddings, okay? There is no shame in appreciating the classics. One of my dear friends is celebrating a birthday today and these molten caramel chocolate cakes are for her. Together, she and I have experienced some really beautiful dining experiences, and the one thing we almost always agree on is dessert. We always want chocolate. We always want caramel. If there is a sweet and salty element or a warm sauce, we’re on it. If it’s got a streusel topping or a shortbread crumble, we’ll take it. But don’t come at us with your black pepper flavored ice cream and diet desserts. Just don’t. 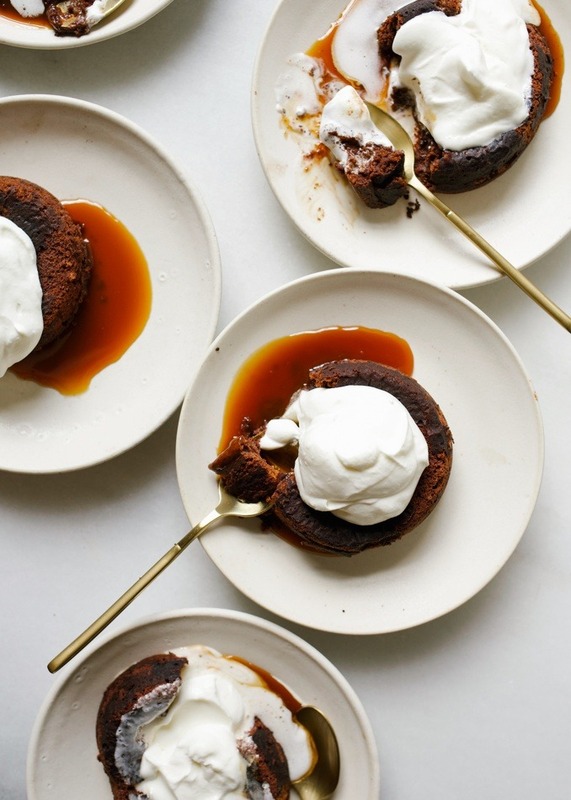 These molten caramel chocolate cakes are decadent. There’s something so seductive and indulgent about a dessert bubbling over with even more dessert. Treats like these feel over-the-top and special in the very best kind of way. This is a dessert worth celebrating over. 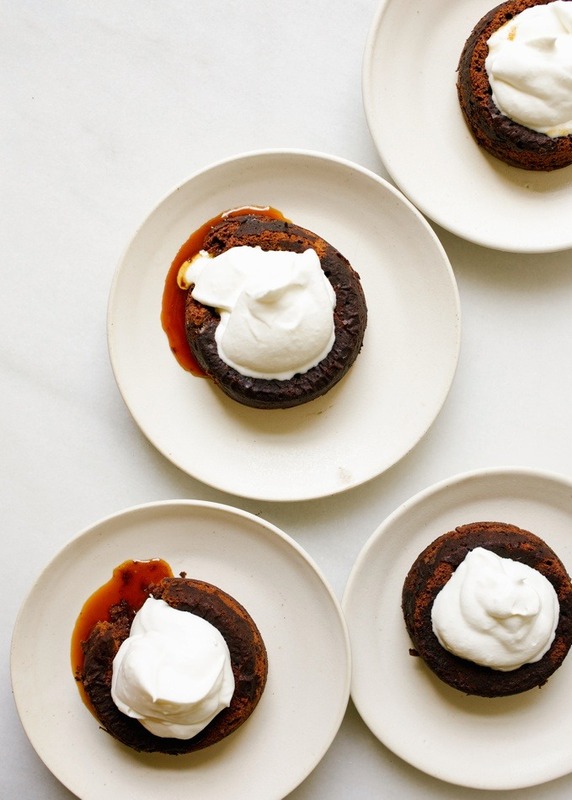 To make these molten caramel chocolate cakes, we start with the caramel. 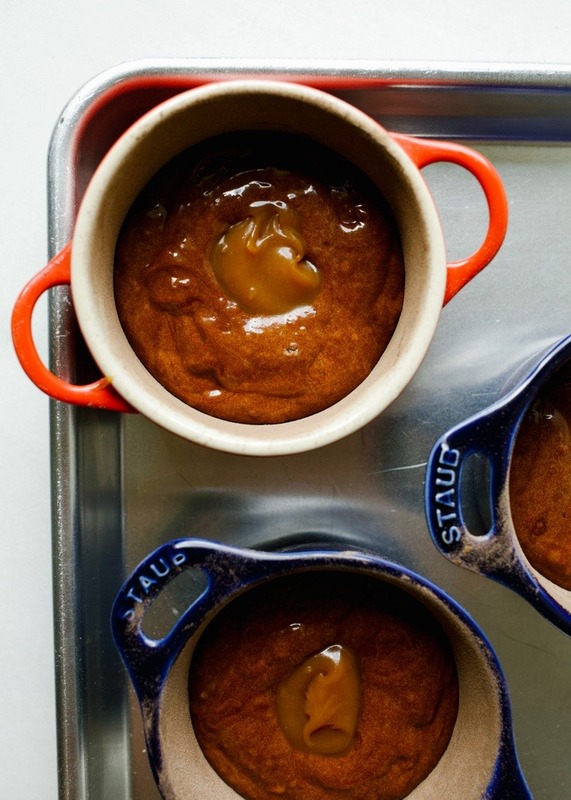 You’ll need a really good caramel sauce to stuff inside the cakes. You can check out my post on homemade salted caramel sauce for tips on how to do that yourself, or you can invest in a quality jar from the store or specialty food market. I like to make my sauce myself and keep the leftovers in the fridge for a rainy day. Once you have a chilled caramel sauce, we can start on the batter. Chocolate and butter are melted together on a warm stove. Meanwhile, eggs and sugar are combined in a bowl until pale and fluffy. Add the chocolate mixture and a bit of flour to the egg mixture, folding to incorporate it together. Spoon the batter into some well-greased and floured ramekins (I use these and these!) and top with a teaspoon of the cold caramel sauce. 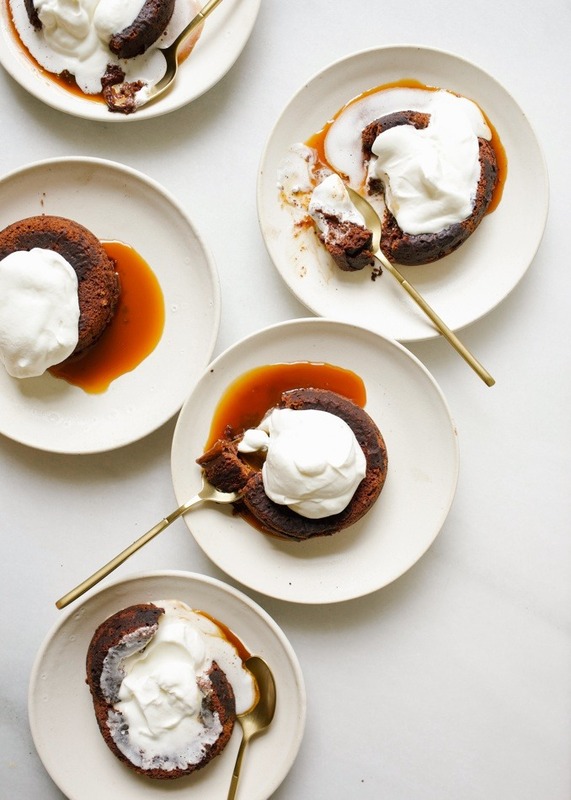 Cover the caramel with a small bit of remaining chocolate batter and bake the molten caramel chocolate cakes until they just barely jiggle in the center. Fresh from the oven, these cakes should pop out on an inverted plate with no problem. If you notice your first cake doesn’t want to come out easily, just run a thin knife around the perimeter to loosen the edges from the dish. 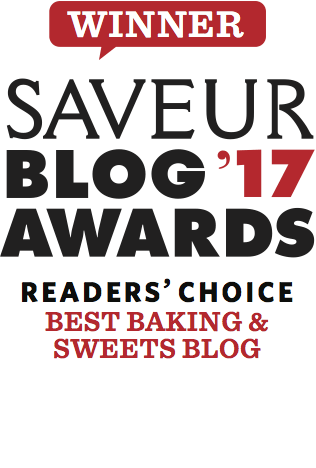 Carefully flip the cakes out onto individual plates and serve with fresh whipped cream (more on that here!) or ice cream. 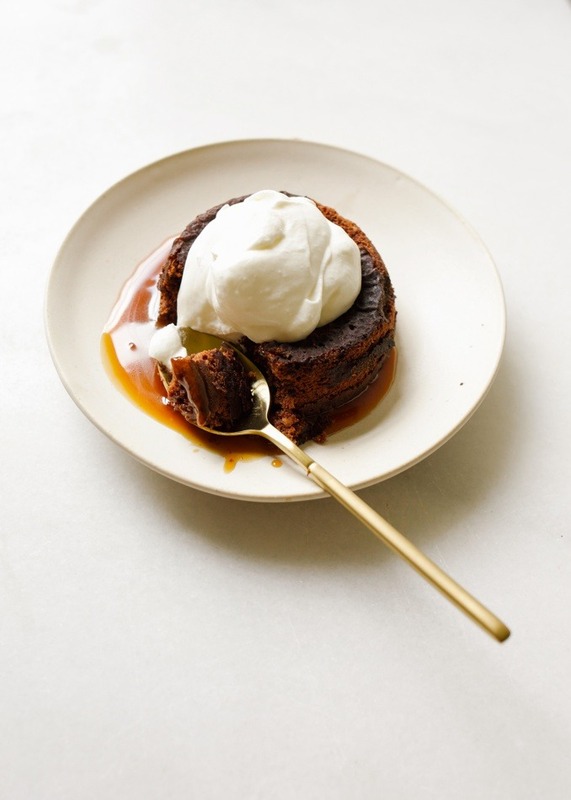 If you’re feeling extra jazzy, you can spring for extra caramel sauce, but I promise you’ll have plenty in your cake! Indulge in something worth indulging in this weekend. You deserve it. Happy Thursday and Happy Baking! We will see you next week! 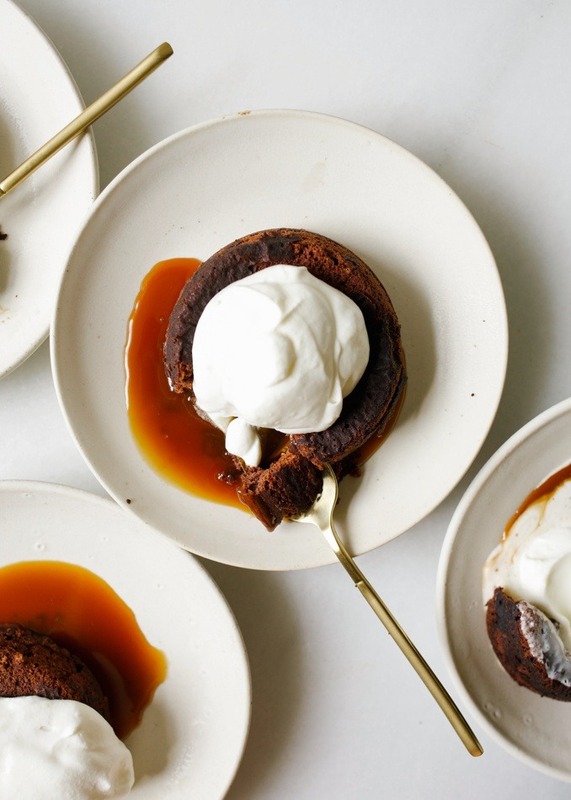 These melton caramel chocolate cakes are rich and decadent lava cakes filled with homemade salted caramel sauce. Perfect for fancy suppers and after-dinner treats! On the stove over very low heat, melt the butter and chocolate together. Be sure to stir the mixture until melted thoroughly to avoid burning the chocolate on the stove. Once smooth, remove from the stove and set aside to cool slightly while you finish preparing the cakes. In a medium-sized mixing bowl, combine the eggs and sugar and beat with a hand mixer on medium speed until the mixture is light and slightly viscous, about 2-3 minutes. Fold in the chocolate mixture with a rubber spatula and then fold in the flour and salt. Divide most of the batter among the 6 floured dishes and then spoon a teaspoon of caramel sauce in the center of each cake. Spoon the remaining batter on top to cover the caramel and then bake in the preheated oven for about 9 minutes, or until the cake only barely jiggles in the center when wiggled. Carefully remove the ramekins from the oven and allow to rest for 1 minute. Place a small dessert plate on top of each ramekin and invert them to turn the cakes out onto the plate. If your first cake sticks a bit, you can carefully run a thin knife around the perimeter of the cakes to ensure they turn out okay. Enjoy immediately with whipped cream, a dusting of powdered sugar, or ice cream. If you slather the ramekins too thickly with butter and flour your cakes may have a thin crust on them. To prevent an off-white crust you can keep you butter and flour mixture thin or sub 1/3 of the flour for cocoa powder. Check out the link in my post for the recipe and how-to for homemade caramel sauce! Thank you for pointing that out, Kianna! I didn’t know I had spelled it incorrectly but I’m grateful for the opportunity to make it right. Made these yesterday to fill an extreme chocolate craving- they were amazing! I was a bit apprehensive about it being too rich but they were just perfect. I didn’t make the caramel in this recipe- I already had a jar I’ve been trying to use up. I also had to make them in a cupcake tin since I didn’t have any ramekins- baking time was pretty much the same. There was also a little mixture leftover, so I enjoyed the rest today (although it’s a bit more difficult to spoon the mixture in the next day). Thanks for the great recipe! this is AWESOME feedback.I’m curious to hear how the shape and filling went in the cupcake tin? I just used an ice cream scoop to put the cake mixture in, and then followed the instructions in the recipe- spooned the caramel filling on top and then used a little more of the cake mixture to cover the caramel. Oooooo it’s just past breakfast and I am seriously thinking about making these…. not for supper , NOW! Girl you had me at Carmel and Chocolate!!! Caramel and chocolate is what Nirvana is made of. I am all about chocolate or caramel and I just loooove cake. 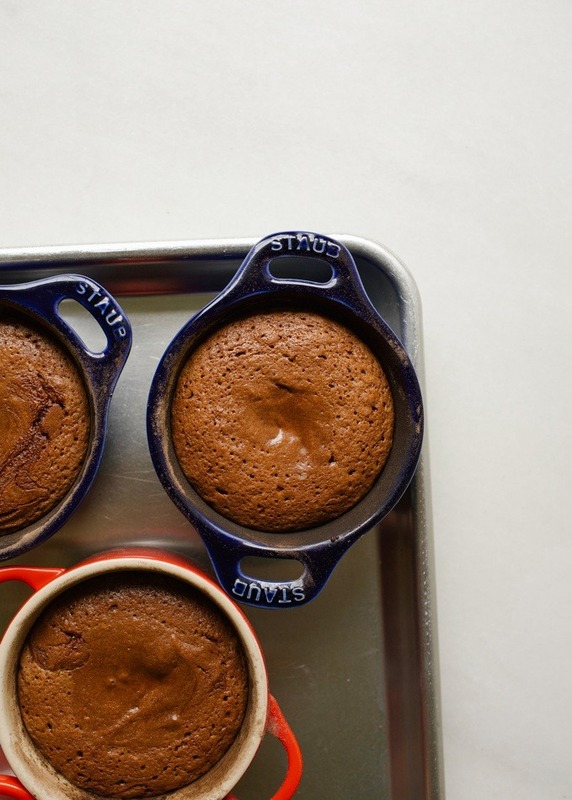 Admittedly, I’ve never made a molten cake but you make it look easy! oooo then you would LOVE these!